Looking for more customers? Tried everything else but let down? 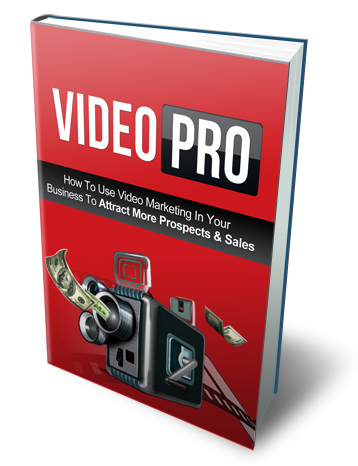 You're probably not taking advantage of video marketing. Whatever your market is, video gives you more opportunities to expand your brand by gaining it visibility and establishing credibility within your niche. Establishing a good video marketing strategy should be one of your goals if you want to target a wider audience. Why Should You Use Videos In Your Business? Low barrier to entry: as previously mentioned, online videos require very little investment to create. Essentially what you need are a web-cam and a YouTube account. Online video allows you to convey strong, compelling messages, establishes credibility and enhances your trustworthiness. People are much more likely to trust you and relate to you when they can see you and hear your voice. Like social media, online video allows you to make a stronger personal connection to your clients and prospects, making sure you build a personal connection even before you meet them face to face. It's good for your search engine rankings: according to a study conducted by Forrester Research, a stronger presence on YouTube can get you higher rankings because video has up to 50 times better chances than plain text to get to the top of search rankings.